Work and having a profession bring order and routine to one’s life. When one is retired either by choice or by the contemporary term, so British, but so universa,l called redundancy one feels adrift with the addition of intervals of doldrums. The phone does not ring because most of a certain age eschew personal communications, be they in person or by voice. Two-thumb two-way exchanges are safer and easier. When the phone does ring it is one of our daughters or my friend Ian who lives in North Vancouver. My other friends, acquaintances and contacts have become invisible. I remember arriving at a Pemex gas station during my years in Mexico City and being accosted by people selling Chiclets and lottery tickets. They would also suddenly appear at red lights. It may have been in the Mexico of the late 60s that I met up with my first windshield washers who would start their job before I could even say, “No.” The best way of preventing any communication was not to look at these people in the eye. As a young man with no sense of ethics towards my fellow men I thought that this technique the same that I used with dogs (if you do not make eye contact with a dog, more often the dog will not climb on you or lick you). By the time Rosemary and our two daughters left Mexico in 1975 and moved to Vancouver I regretted these actions in which I depersonalized these people who at the very least deserved my consideration of their humanity. It was also at about the time when traffic in the Mexico City beltway, the Periférico became so bad that with cars virtually stopped at rush hour you could now not only ignore the lottery ticket and Chiclet's vendors, the fire eaters but also the women offering blow jobs. It was momentarily refreshing to arrive in Vancouver and experience the pleasure of not having to deal with anybody at the self-serve gas bar. I am now committed after all these years to using the self-serve gas bars but I feel some regret. I have noticed how my prosperous new-immigrant neighbours arrive at their garages in their hermetic big SUVs and how the doors of the garages are whisked open and shut with me not being able to even say a good afternoon. These new immigrants just like yours truly who at one time hailed from Mexico, are not used to immediate communication with those who are not friends or relatives. We de-personalize them and that way they do not exist. The above may be a long-winded attempt on my part to rationalize why my telephone does not ring. At least twice a day it does ring and that great invention, call display, that filters those who call, informs me it is an unknown number or a toll-free one. I know what to expect. I say, “Hello,” once or twice and by the time the robot caller can answer me I am gone. I regret even these actions as those who want to make that survey must feel very much like those who sold lottery tickets at the Mexican gas stations. So it is with much enjoyment that Rosemary and I prepare on Fridays what we are going to cook for Hilary, Lauren and Rebecca on Saturday. We fuss and shop. We vacuum and clean windows. Rosemary mops the white kitchen floor. I select what film we will see after dinner. We savour these Saturday afternoons knowing that soon they might be no more. Rebecca will have dates on Saturdays and not much after so will Lauren. Rosemary’s cat Casi-Casi also likes the breaking of our daily lack of routine. He seems to have a special relationship with Lauren. On Sunny Saturdays they sit on the metal bench in the back garden or he follows Lauren who lures him with long multi-coloured ribbons. Today is a sunny Saturday. Fall does not seem far away. The roses are waning and some of them do not open. I cut some of these roses and scanned them for today’s blog hoping that I will be able to write, here, next year, at this time, on the very same subject. Sometime soon, I hope, too, that Rebecca might be persuaded to pick up the phone and call and say, “¿Qué tal Papi, cómo estás? 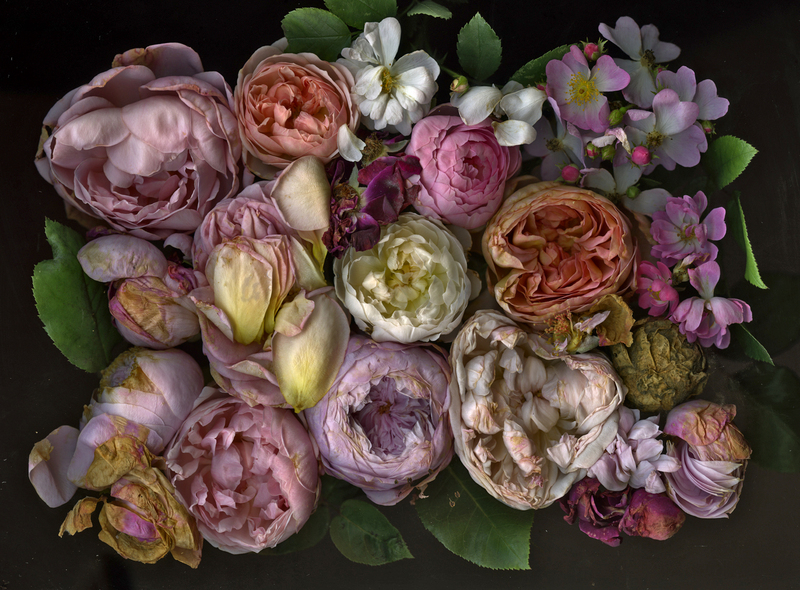 There is something about botanical photos which defies temporality. 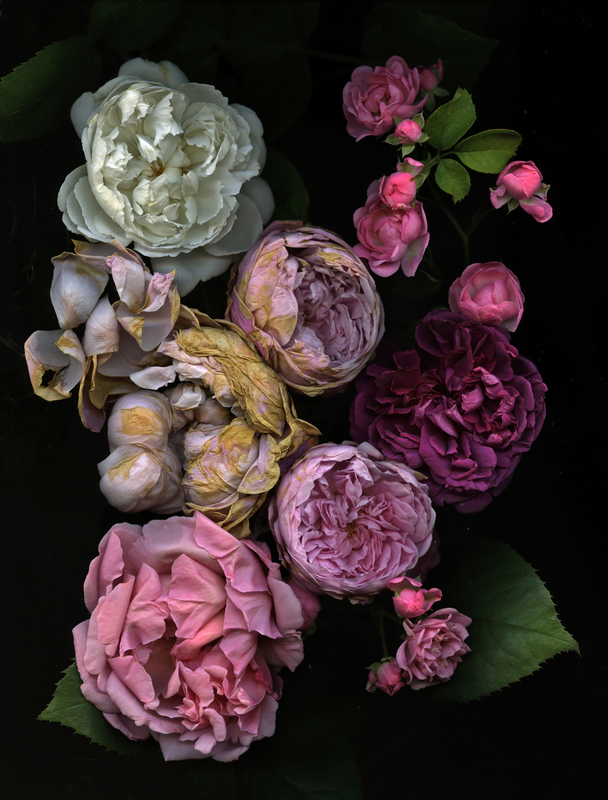 The flowers seem to emerge from the back-grounded blackness as one's memories do; completely whole, unaware of their complicit layers and the decay of what was forgotten. They arise devoid of context, their fullness and intact-ness boldly rivaling their lack of ground. They emerge like a dream scape - that you can never remember the full picture allows a space where piecemeal is the complete image - and these flowers are completely recalled. Within them we intuit an implicit context from which they have been severed. We know the narrative of the garden and the weeds and summer dying. But these float, as a fond instance, as an image to keep us company on dark nights, as a fractured thing to tell a loved one over morning coffee. I seek this disembodiment in my lighting. When I can cast a light upon an actor which floats him/her, which creates a memory simply in the viewing, which invites emergence from the void, then I will have created something of the confluence. I was surprised by my reaction to the photograph. I do not like pictures of myself and there are not many. This was a very long time ago but I recall you made the observation that I seemed sad. This is something I have been told my whole life, by other artists, the people I have gotten close to and by our mutual friend who introduced us who wrote a song about that. I don't want to seem morose, but there is a truth in that. What is interesting to me is that when we did this shoot wearing only your mother’s beautiful shawl I was estranged from my own mother. Happily this is no longer the case. I am reminded of my troubled self and how far I have come, but I still have an underpinning of sadness that can be seen when someone really looks. I should also say in the interest of full disclosure when this image was taken I was hungover. Sometimes I don’t notice some of the photographs I take or I forget them. In a random search within my blog I wrote Halloween. One of the blog posts was not anywhere close to Halloween as I had written it on October 9, 2012 and the title involved the word Thanksgiving. It can be seen here. But I would like to post again the picture of Lauren which I took with my Nikon FM-2 loaded with President’s Choice – No Name – colour negative film which was rated at 800 ISO. I like the feel of sadness of the picture. I will not be in Vancouver on October 9. I will be in Buenos Aires. But I will be back in time on October 14, Thanksgiving Day. I will take a picture of Lauren again on that bench and see if I can relive the moment even if Lauren chooses to smile, just a little this time. In my 55 years of experience with film cameras I came to create, fumble and figure out new and varied ways of taking pictures that would guarantee that I would by the end of the process have not even one image that was useable. 1. Shoot a 35mm film camera without film. 2. Not load the film properly so that the film would slip and I would take 36 exposures (or more!) on one frame. 3. A variation of 2 was to load a Nikon F-3 equipped with a motor drive. The drive had so much torque that it was possible for the motor’s sprockets to break the film’s sprocket holes. No picture. 4. Shoot all the pictures in a subdued lighting situation with a studio flash at the wrong sync speed. 5. Variation of 4 was to connect the flash cord to an FP terminal instead of the X terminal (found in such cameras as the Pentax MX of which I own two). FP is designation for flash sync using Focal Plane shutter flashbulbs (long gone). No picture. 6. A defect or break of a lens diaphragm that would overexpose film beyond help. 7. Expose part of a roll. Put the camera away and on the next day (forgetting the camera has film) opening the camera to load it with film. 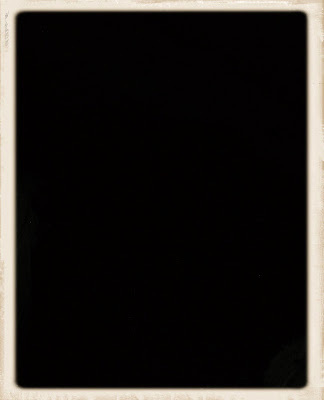 No picture. 8. Using the wrong ISO setting. As an example I could shoot a 100 ISO film at a 1200 setting. No picture. 9. There are countless mistakes that I have made in the darkroom including forgetting to put developer into the water to be used to process the film. 10. I once used selenium toner (unmarked bottle) instead of fixer. No picture. There are many more including camera failure such as a broken shutter or in the case of my medium format camera, a broken shutter spring. No picture. Where I did have some sort of luck is that in all the times that I had colour negative or colour slide film processed by local labs I was never told that there was no charge when I came to collect my film. If you cannot figure out this one, it means that the lab ruined the film and was thus not charging you for the processing. One of the most bizarre mistakes I ever made I had in tow my friend John Lekich who at the time was about to interview American actor Peter Coyote. There was a beautiful blonde woman in 40s clothing waiting for her small part to happen at the film location. I asked her if I could photograph her. I did and Lekich was licking his chops in anticipation of my photographs. Before we left and after we had interviewed and photographed Coyote, I took out a roll of 120 film that I always had in my camera bag as an extra in case I lost the film roller, etc. I took the roll out and showing it to Lekich I said, “This is that beautiful blonde.” I then removed its paper binding and with both my hands rolled the film open. Lekich could not believe it. “Calm down,” I told him, “it’s a test roll.” It was not the test roll. In the last three weeks I have been navigating around all the possibilities that my new Fuji X-E1 could conceivably, at the end of a shooting day, deliver me nothing. I have come to understand as I buy extra camera cards, a card reader, perhaps a second battery and then the one word that is anathema to all digital photographers, a corrupted card that digital cameras can surpass by at least twice the possibilities of the non picture. As I prepare by trip to Buenos Aires, I have an old Toshiba laptop to which I can download my Fuji’s pictures either by connecting the camera to the computer or by removing the card from the camera and inserting it into a card reader which I then insert in the laptop. Both these methods have to be then transferred to an exterior flash drive as my Toshiba is old and has a small hard drive. Instead of having one or two high capacity cards I am opting for having three 8GB cards to spread my three weeks shooting in Argentina. But I know that there must be other ways lurking out there that just might sour my picture holiday. The first one that I discovered is here as an example. The scenario is a magazine assignment inside in which I use a big studio flash. I measure my light with a flash meter connecting the flash cord (while disconnecting it from the Fuji X-E1). After getting the correct f stop setting I adjust my digital wonder but I forget to connect the flash cord. I take a picture and the live view in the LCD screen in the back shows a nice picture (thanks to the fact that digital camera views tend to be very bright and my studio flash has a relatively powerful quartz light). But the reality is that the picture that I just took with the unconnected camera is exactly like the one here. No picture. I’ve been asked many times about what it’s like playing two completely different characters, one in a tragedy and the other in a comedy and whether I ever get them confused. From an outside perspective, I can see how it might seem challenging to play two different parts during the same season – but I’ve never been confused between the roles. It’s been an amazing experience to play both of these women. Continually alternating between them has kept me busy and never allowed for a minute of tedium. However, I will say that I sometimes had moments of confusion in the early rehearsals. I would be struggling over something with Viola and just as I felt I was making headway, we would switch to rehearsing Hamlet, but that’s all a part of the process. So here is the experience of each role from my perspective. Ophelia, though an iconic character and one of the two female lead roles in Hamlet, is a relatively small part. There’s three parts to her trajectory – her relationship with her family at the beginning where they are warning her about Hamlet and she confides in her father about Hamlet’s strange behaviour. Then comes the break-up with Hamlet in the famous nunnery scene, then madness and death. Her emotional journey is entirely in turmoil, there’s no relief from pending tragedy. Her sad fate is relentless. In contrast Viola is a light and buoyant character. 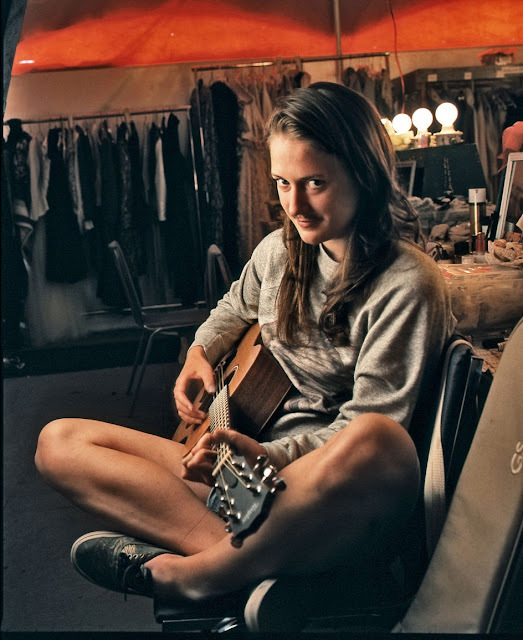 Pretending to be a young man throughout the play she encounters unpredictable situations and has to quickly outwit them. As the protagonist of the play, her journey has a longer arc and she gets to experience a broader emotional spectrum from grief and loss, adventure and then the joy and surprise of love. Also there’s a lot of humour in her journey, Viola is the kind of person that tries to make the best of a situation and her interactions with the other colourful characters in the world of Illyria. Playing these roles with a stellar cast and crew and in such a beautiful location supported by the glorious summer weather has made this a completely wonderful experience for me. I count myself very lucky to have had the honour of playing these two Shakespearian heroines. Some readers of this blog must know that Rosemary and I get the New York Times delivered to our door every day of the year. This has been the case for at least 15 years. From Monday to Saturday mornings we read the NY Times and the Vancouver Sun over breakfast in bed. Rosemary and I alternate with no particular pattern who fixes breakfast. But Saturday night is different. The kids (our youngest daughter Hilary and her two daughters, Rebecca and Lauren and Bruce Stewart when he has Saturday off) come for Saturday dinner. After I take them home I know that I will find by the door the Sunday New York Times waiting. We read this Saturday night and try to leave some stuff to read over breakfast for the next day. I promptly forgot the above. On Sunday, September 1 I went to the Vancouver Public Library with Lauren. I asked one of the librarians how to find talking books in Spanish. I asked her if I had to go to the Spanish section of books or to the section that held talking books. The librarian was interested in my question because she did not know the answer. “Give me an example of an author,” she told me. I said, “Jorge Luís Borges.” She found one and informed me it would be on the next floor in literature. Then we found a way of finding all the talking books in Spanish which are somewhere around 2500. 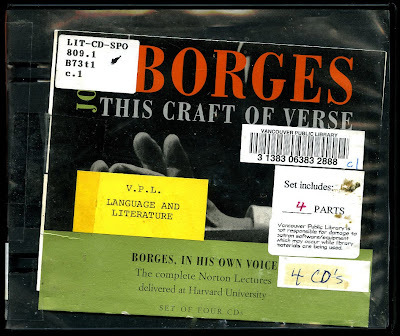 I went to the next floor and got Borges – This Craft of Verse (Borges in his own voice – The complete Norton Lectures delivered at Harvard University in Harvard 1967-1968). In the Spanish section of books I found Miguel de Cervantes – Don Quijote de La Mancha in a complete recording of the novel. At home I put in the first Borges CD and to my amazement I found out that not only did Borges read in his own voice, but in his own voice in an exquisite (slightly accented) English. Since by 1967 Borges was blind these lectures (about five hours) are all extemporaneous and without the notes he could not read. In the second lecture (first part) entitled Metaphor Borges talks about the difference between Homer writing (or dictating perhaps?) 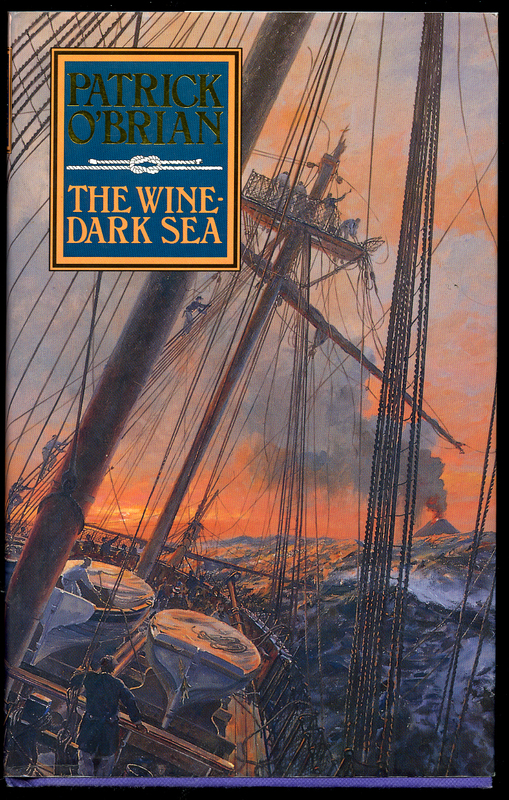 the expression “the wine dark sea” and all these many years later when we read it. Borges explained that Homer’s interpretation was not his as he wrote it. But when we read it, the expression somehow brings Homer from his death of centuries. 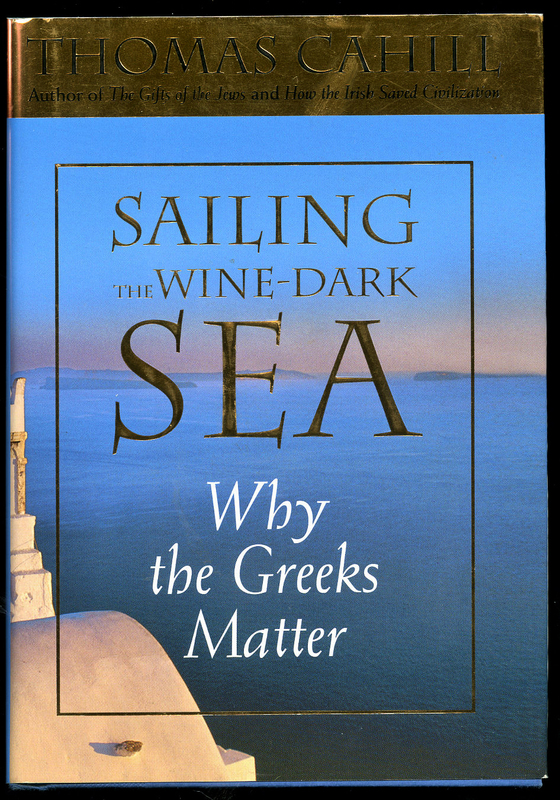 His original metaphor of the sea and dark wine becomes a new metaphor. It is the metaphor of a metaphor of Homer in relation to our use of Homer’s metaphor. That may sound complicated but believe me Borges says it with class, wit and humour. I put on the first chapter of Don Quijote and I was rewarded by a perfect Castilian voice which was verbatim to my open hard copy on my lap. What a find and in our own VPL in what many say is a cultural backwater. I am going to Buenos Aires on the 21st of September. I asked Nora Patrich’s (an Argentine painter friend of mine who now lives in Buenos Aires but lived for many years in Vancouver) new husband Roberto who works at the Biblioteca Nacional if they had either of the books I had found. The answer was no. I am now going to ask the VPL how I can lawfully copy those two books as a donation from the VPL to the Argentine National Library. Tonight, September 2, I suffered insomnia. I was trying to remember where I had heard the expression “wine dark sea” in the last 24 hours. I went to the on line NY Times and found the Sunday Magazine piece. I got into bed but told Rosemary, “There is a Patrick O’Brian novel with that name and I also have a non-fiction book about the Greeks with that title. And so I came down to the living room, found the two books and here I am writing about a happy coincidence involving Homer, Cervantes, Patrick O’Brian, Thomas Cahill and my NY Times Magazine. The NY Times publishes on Labour Day but we did not get our copy this morning ( I write this in the early morning of September 3). The newspaper carrier obviously had a holiday. Rosemary and I look forward to two newspapers for tomorrow’s breakfast. Amazingly those Jorge Luís Borges Harvard lectures are to be found here complete.